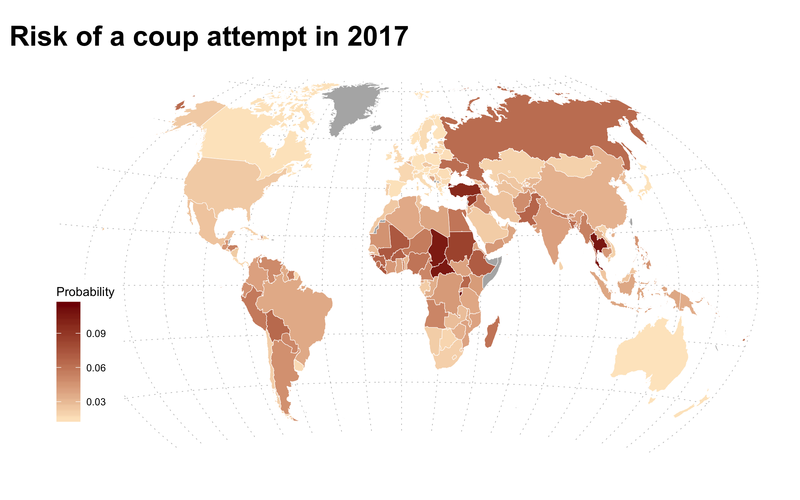 The chart, based on Jay Ulfelder’s chart of coup attempts , shows coup attempts and the country they occurred in, colored by whether they succeeded or failed. 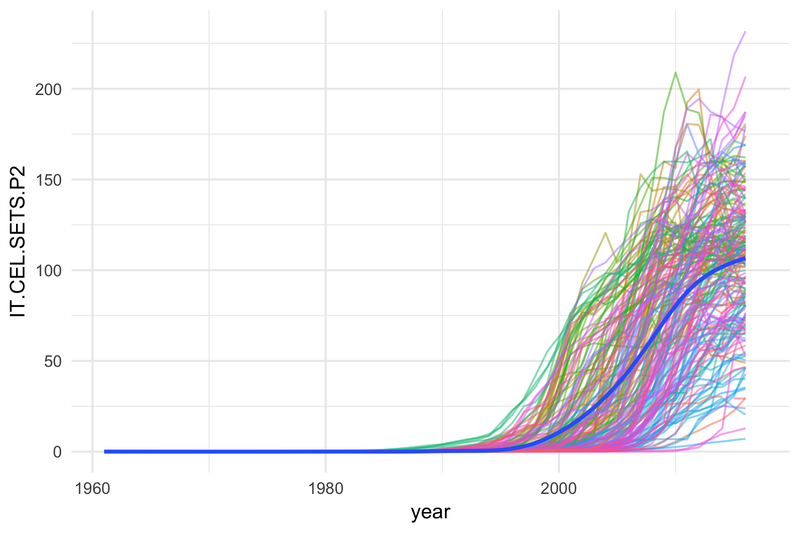 The overall declining trend is readily apparent. 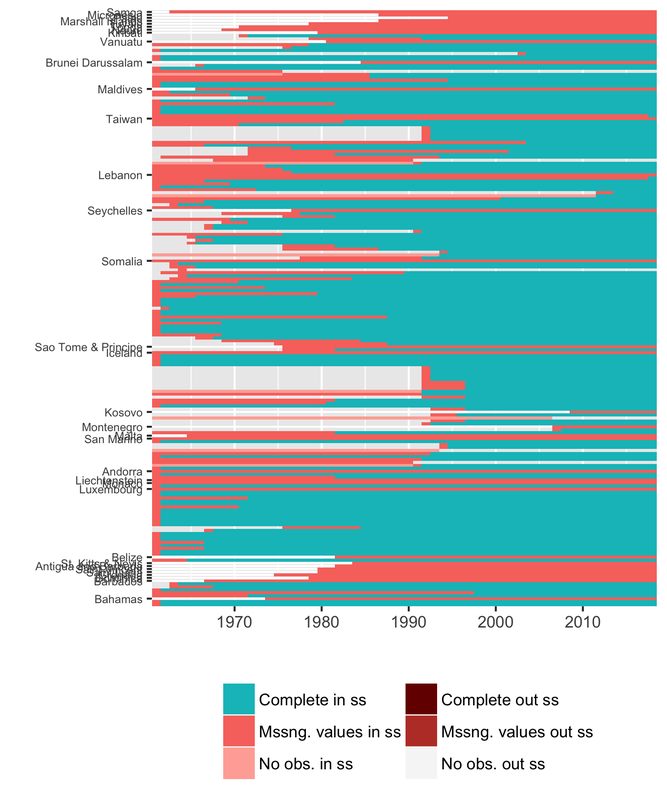 The chart also shades those coups that were included in our final data in gray, for anyone interested in whether a specific coup ended up in our data or not. 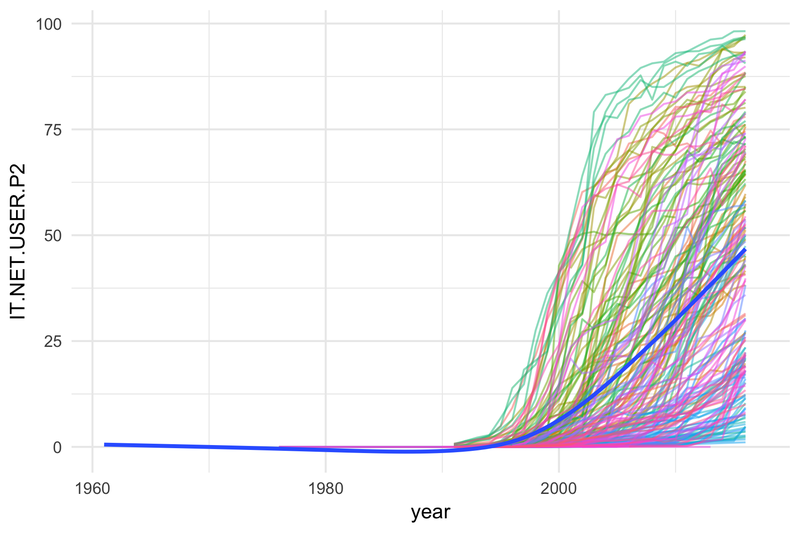 Including elections is also complicated by the potential need to combine data from several sources. There are also two additional practicacl problems. One is what to do with countries that don’t hold regular national elections, like North Korea or Saudi Arabia. 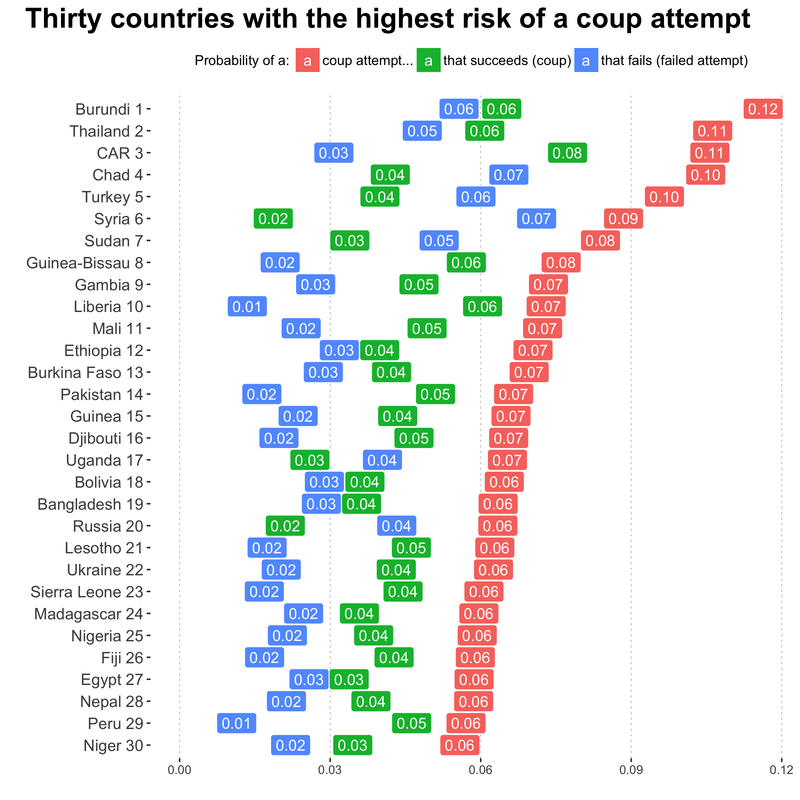 These are often the countries we are most interested in predicting coup risk for.